Interior and exterior floor and wall installations of every type of tiles and natural stones onto rigid substrates. • gypsum substrates and anhydrite screeds as long as they are dry and treated with a coat of Primer G.
• spot bonding of insulating materials such as expanded polystyrene, expanded polyurethane, rock and glass wool, wood cement and sound-deadening panels etc. • Do not apply over presswood, particle board, chipboard, masonite, gypsum floor patching compounds, metal or similar dimensionally unstable substrates. • Do not apply over vinyl, rubber and linoleum surfaces. 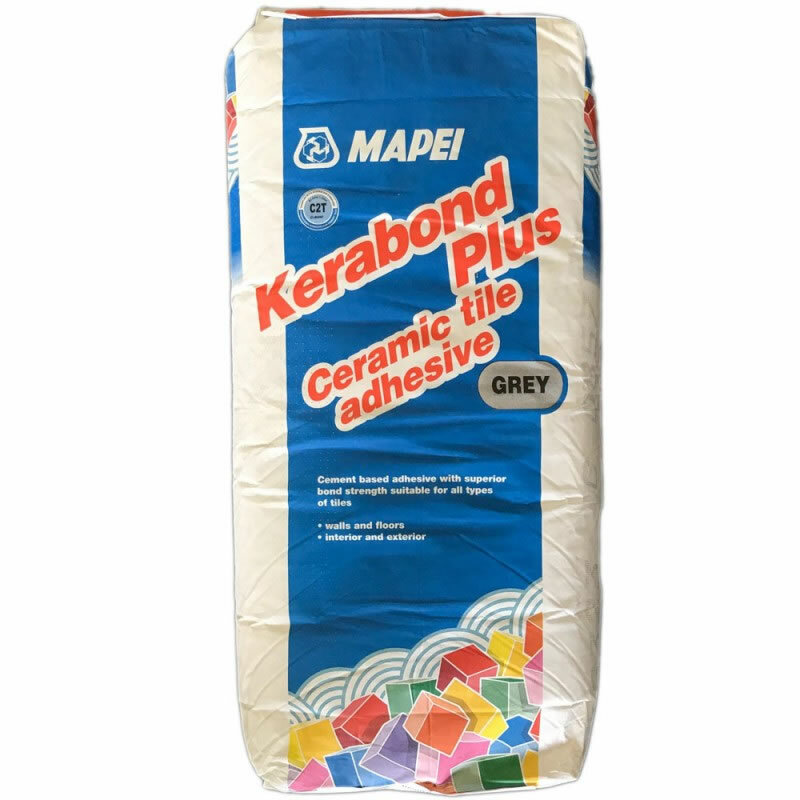 • For external installation onto concrete slabs and cementitious screeds of large sized tile (up to 400×400 mm) use Kerabond Plus mixed with Isolastic 50. In case of larger size of tiles use Kerabond Plus with Isolastic. • For installation of tiles onto marine ply-wood (interior dry floor area only), gypsum wall-boards, pre-cast panels, fibre-cement sheet and floors and walls subjected to movements (due i.e. to the shrinkage or temperature changes) use Kerabond Plus with Isolastic. • Do not use Kerabond Plus to install agglomerates, sensitive moisture stones or natural stone material subject to stain: use Granirapid, Keralastic or Kerapoxy. • When installing light coloured and translucent marble, and their agglomerates, use White Granirapid. Pot life of mix: over 8 hours.